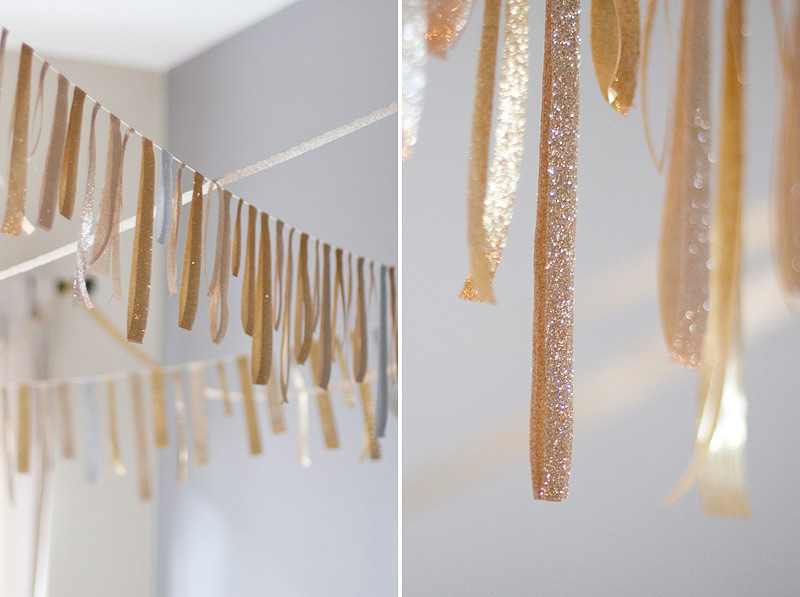 As you saw in yesterday’s post on my birthday party decor, I made a ribbon garland out of glittery holiday ribbon. I bought the ribbon at JoAnn and set to work a couple days before the party. Besides the ribbon, all you need is some white cotton string, double-sided tape or tacky glue, and a pair of scissors. I used double-sided tape for mine — it held pretty good because my ribbon was very lightweight and smooth where I placed the tape but if the ribbon you get is heavier or has glitter on both sides of the ribbon, the tacky glue will probably be a better option for you. 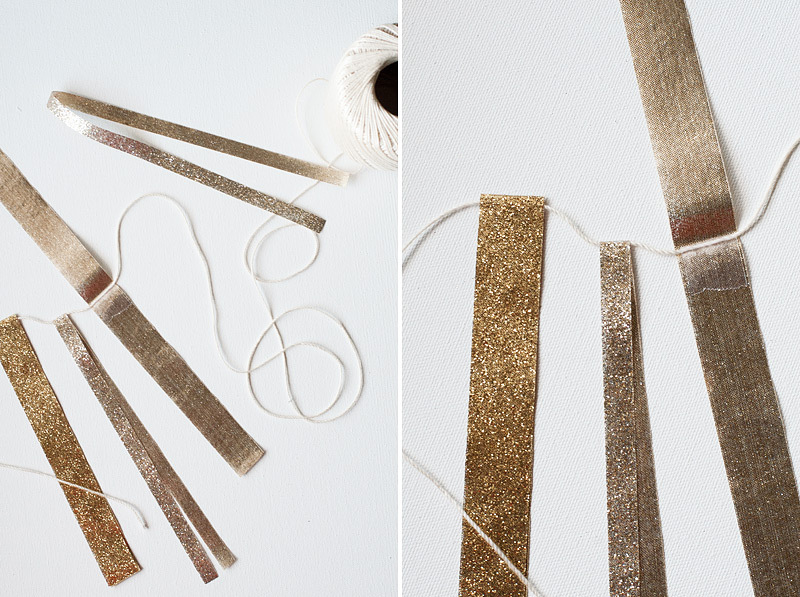 How it works: Cut your ribbon into various lengths, fold each piece over the string and make a crease. Unfold it, apply your tape or glue onto both the ribbon and the string, and re-fold. Pinch the fold to give it a more tighter seal. 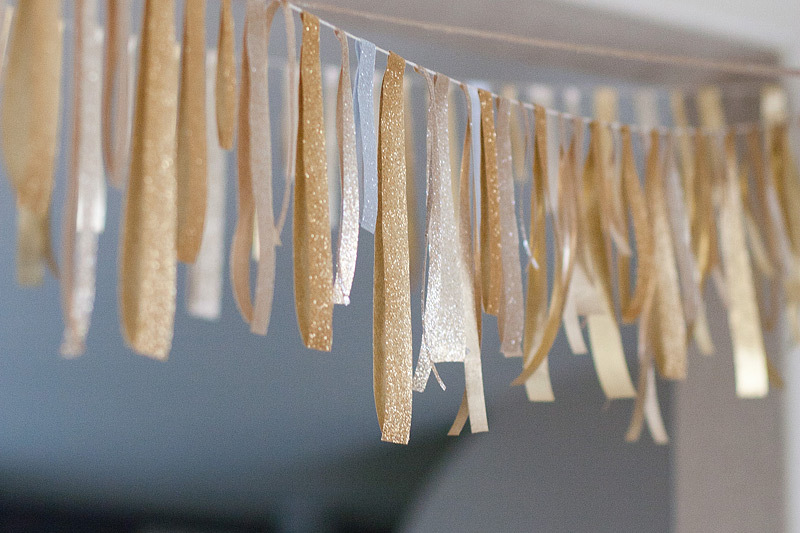 I used mainly gold and a lighter gold for my garland with bits and pieces of silver simply because I didn’t buy enough ribbon, but it still turned out so well. Enjoy making yours! Wow, this is so pretty! 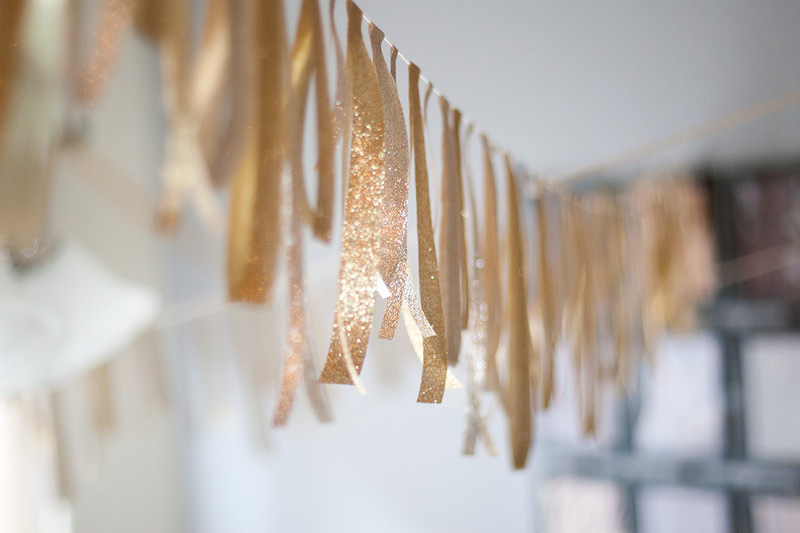 I definitely will do this for our Holiday party, love it! This is lovely! What a perfectly festive backdrop! Pingback: A Football Theme Goes Fab for a 40th Birthday Party!